Still buzzing from December’s stunning Falcon 9 rocket landing, the SpaceX team evidently can’t wait to get its next mission off the ground and, hopefully, safely back onto a hard surface again. For its next effort, the space company wants to have another shot at landing one of its rockets on a platform floating in the sea as opposed to on land as it did last month. Two previous attempts at this type of tricky sea-based landing ended in a fiery mess, not a good outcome if your main goal is to reuse the rockets as part of a grand plan to drastically cut the cost of space travel. 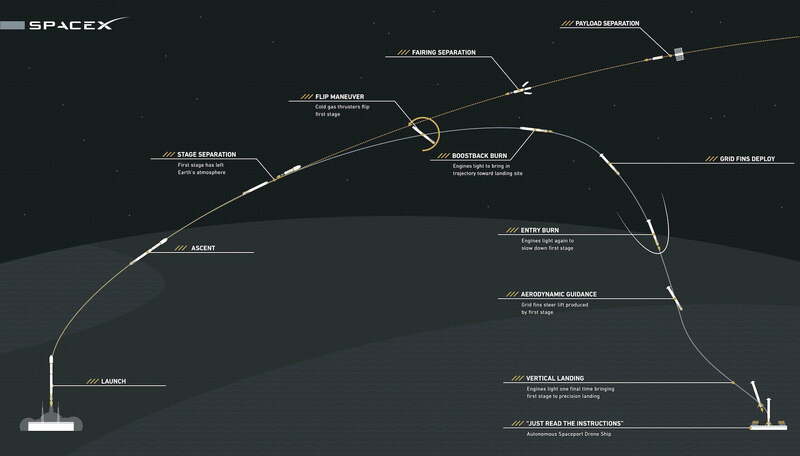 The next attempt at this complex maneuver will take place on January 17, SpaceX told Reuters, and if successful would give the company greater flexibility when planning future launches and landings. SpaceX said the attempted sea-landing feat, part of a mission to launch NASA’s Jason-3 ocean-monitoring satellite into orbit, will involve an older version of the more powerful Falcon 9 rocket used in December’s successful effort. Following last year’s failed attempts that saw the rockets topple over and explode seconds after touching down, SpaceX’s floating platform has been knocked back into shape and taken to west-coast waters for this month’s landing attempt. The platform, effectively a huge autonomous drone ship about the size of a football field, can remain stable in choppy waters and hold its position within three meters whatever the conditions. If all goes to plan, the first stage of the rocket will separate from the upper stage about two minutes into its ascent, after which it’ll perform a flip maneuver in preparation for its return to Earth. The rocket’s engines work with four grid fins to stabilize and slow the enormous 69-meter-high machine as it heads toward the landing platform. Prior to touchdown, landing legs will deploy for what will hopefully be a touchdown as flawless and spectacular as December’s effort. Weather conditions permitting, SpaceX’s rocket will launch from California’s Vandenberg Air Force Base on January 17 in a mission that’ll mark the first orbital rocket launch from U.S. soil in 2016. If SpaceX gets it right, the team will be the first ever to complete a successful sea-platform landing. With the company’s confidence riding high, the team behind the mission will be keen to see this one through as it continues refining its technology as part of efforts to take space travel into a new era of affordability and efficiency.